So it's very popular in the party for years. But the Printing Charge will be offered by the buyers. If you want to add some specials,pls tell us once contacting us. 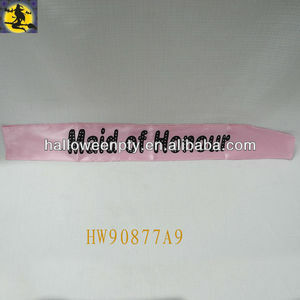 Alibaba.com offers 3 baldric sash products. About 100% of these are event & party supplies. 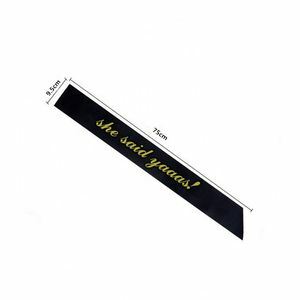 There are 3 baldric sash suppliers, mainly located in Asia. The top supplying country is China (Mainland), which supply 100% of baldric sash respectively. Baldric sash products are most popular in South America, North America, and Western Europe.